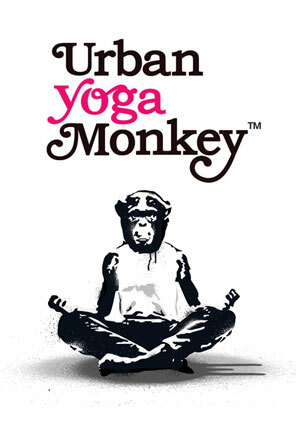 Urbanyogamonkey is an online source of inspiration, innovation and support for developing and maintaining a holistic and fulfilling life. UYM was born in the creative and passionate heart of east London as I was teaching Yoga and being asked to create another portal or medium to share insights and guidence beyond the physical classes I was and still offer. A Modern urban lifestyle can sometimes be overwhelming, full of stimulation and information that instead of bringing greater balance, a desire to pause and reflect, ends up having us persistently seeking and acquiring instead of finding contentment and ease with the present and perfect moment as it truly is. UYM shares Yogic practices, articles and studies that support a confident curiosity into self enquiry, self development, love; and the application of love throughout all aspects of our inner and outer world. Throughout this experiential and mindful process, one tends to desire and honour self responsibility, the power of choice, and the power that we all have in shaping our own internal realities, others, our physical health and mental well being. I teach Yoga-as The active and dynamic practice of awareness. My personal heritage, studies and interests come through my teaching. These are wide ranging but include my studies and application of: Buddhism, Psychology, (*)Pedagogy, Thai massage, Cranio sacral technique, a professional career in Dance, Kundalini Yoga, Hatha Yoga, Pregnancy yoga and Neurobiology in relation to yogic practices and trauma sensitive cases. (*)pedagogy: pedagogy is as the art and science (and maybe even craft) of teaching. *Mantra and Kundalini are explicitly used in my Kundalini based monthly WORKSHOPS, and implicitly in my general classes.